Under the National Labor Relations Act, employees in the United States like those who took action Thursday at Google have the right to protest peacefully without retaliation if a walkout is sparked by directly workplace-related issues. Google employees participate in a walkout to protest how the tech giant handled sexual misconduct in Mountain View, California, on Nov. 1. The mass walkout was sparked by a recent report by The New York Times that claimed Google gave millions of dollars to some executives in secret exit packages after they were accused of sexual misconduct. 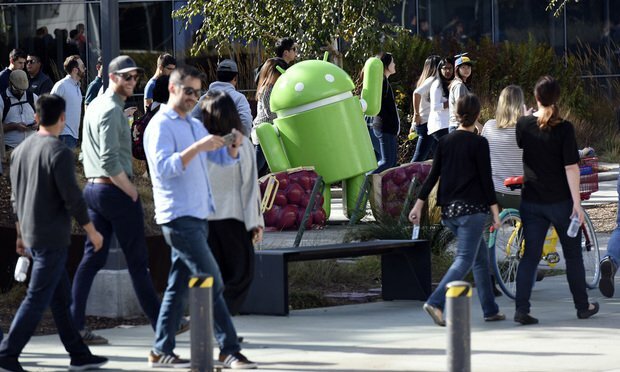 Photo Credit: Michael Short/Bloomberg L.P.
Thousands of Google employees in offices around the world staged a walkout Thursday to protest an alleged culture that fosters sexual harassment at the Mountain View, California-based tech company.